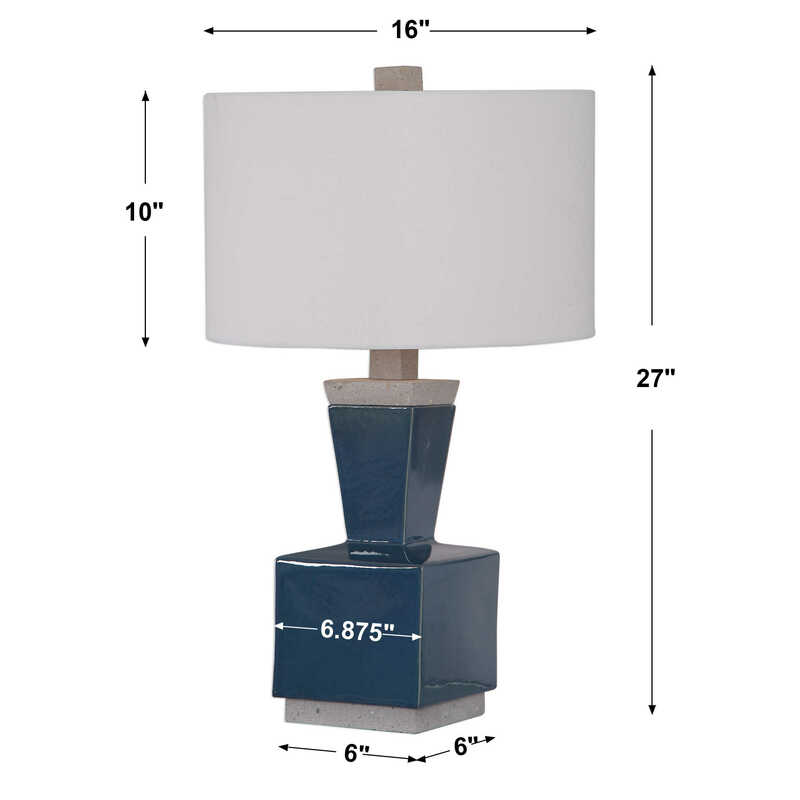 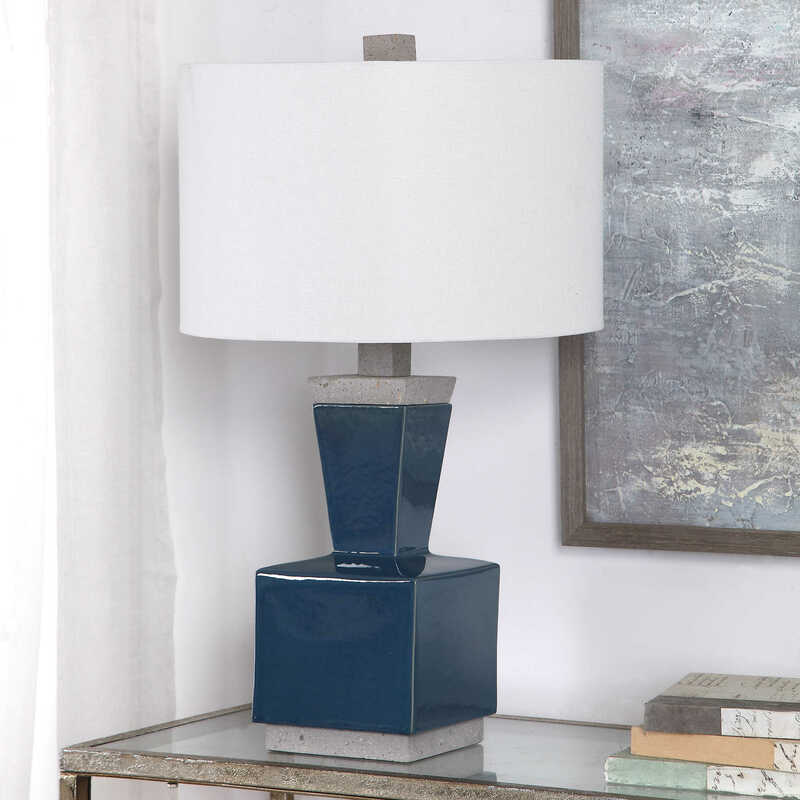 Modern and industrial styles merge in this minimalist table lamp design. 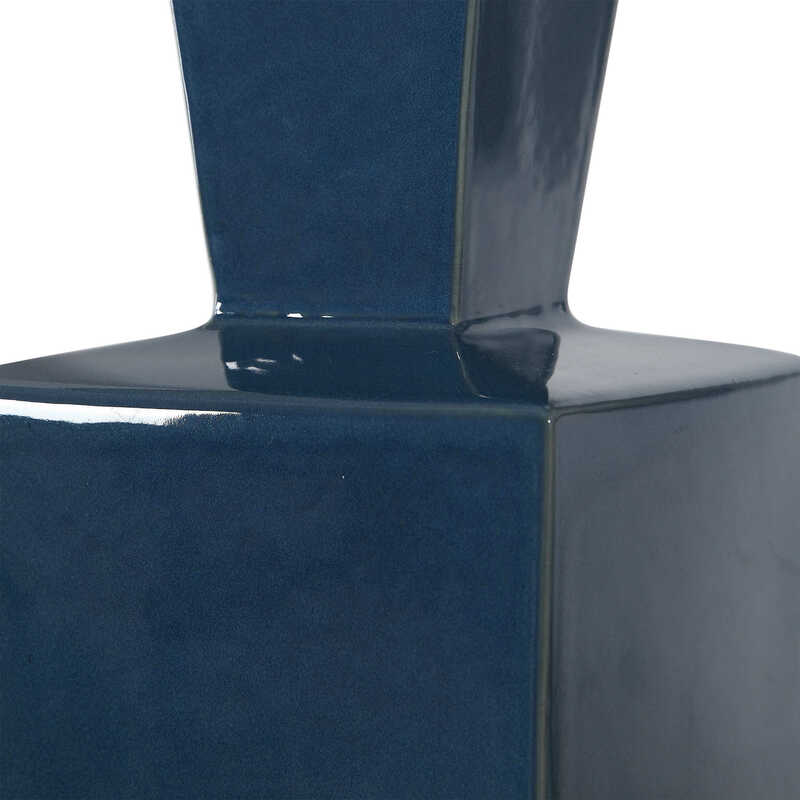 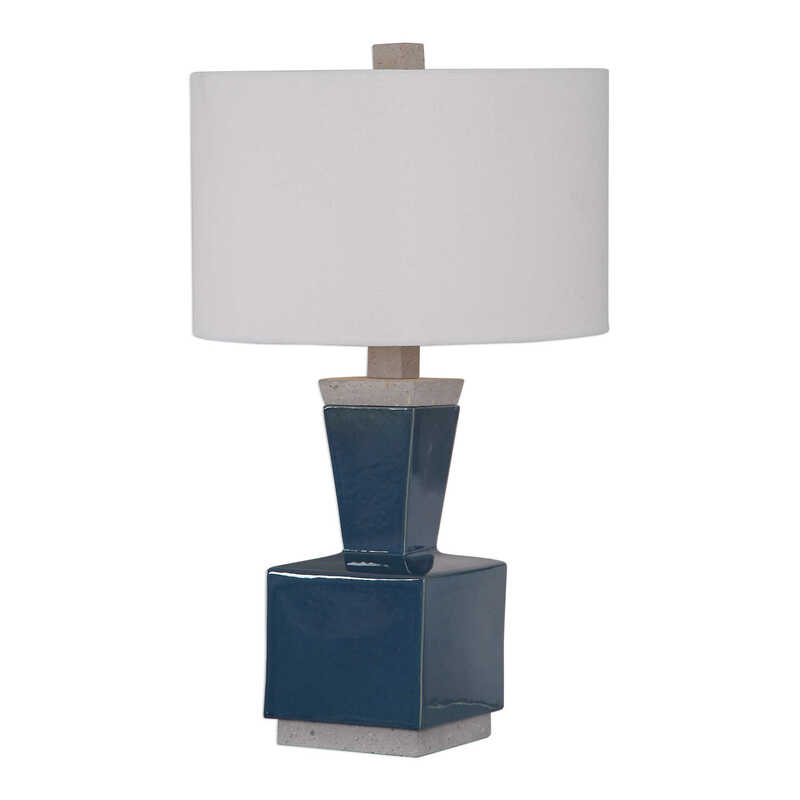 A rich, deep blue glaze finishes the geometric base and is paired with gray concrete accents. 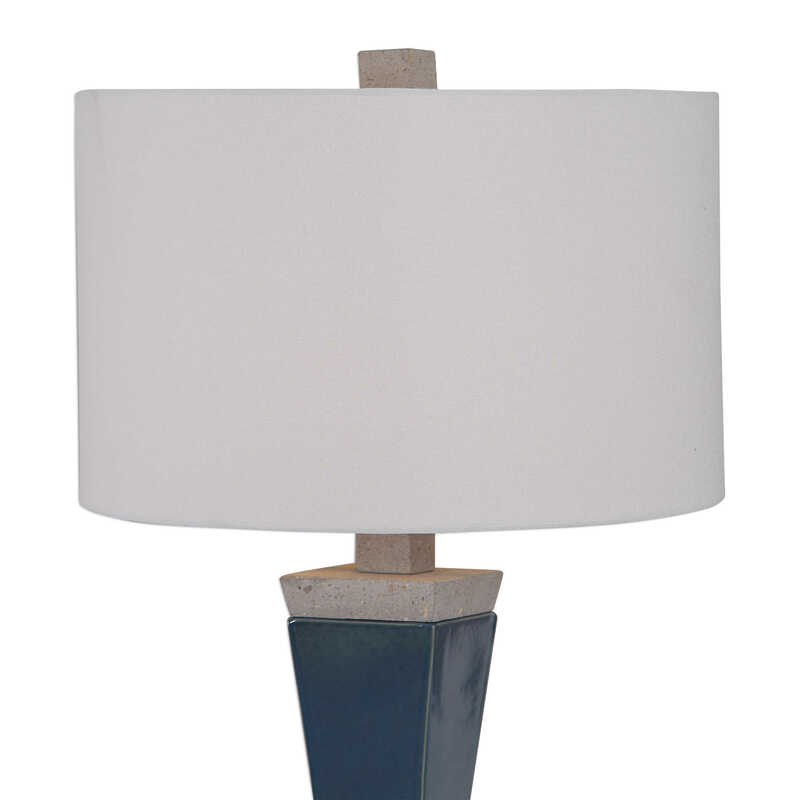 A light gray hardback drum shade with natural slubbing completes this piece.